One of the first questions I ask producers when I talk to them about making cash sales or putting on hedges is, What is your cost of production? Many have at least a general idea of what they’re cost of production is, but there are still some that fumble around on the other end of the phone trying to fabricate a number because they don’t know it. Now look, I get it, maybe you have it calculated and written down somewhere for when you have to make marketing decisions, but you don’t have it memorized off the top of your head. That’s understandable. However, not knowing your cost of production, or making decisions without factoring in your cost of production, is not understandable. Without knowing that number, how would you determine when to sell for a profit or hedge to protect your break-even? We’ll start with the very basics so that we’re all on the same page. The cost of production formula is the total of your fixed costs plus your variable costs (fixed cost + variable cost = cost of production). Now you may be asking, what are fixed costs and what are variable costs? Well, fixed costs are costs that you will incur regardless of how much you produce (property tax, mortgage payment, salary, rent, etc.). On the flip side, variable costs are costs that will depend on how much you produce (seed, feed, fertilizer, etc.). To boil it down, cost of production is the total cost you will incur to produce the crop throughout the year. Now that we’ve got the definition down, let’s talk about how that translates to cost of production on a per bushel basis. Obviously, when you sell that crop, you’re paid based on a per bushel price, so it only makes sense to know how much it costs you to produce each individual bushel. The nice thing is, it’s simple to figure this number out. You take the total cost we determined earlier, then divide that by the total number of bushels you produce (total cost of production/total number of bushels = cost of production per bushel). Once you’ve got this number, you’re ready to start making marketing decisions based on not only recouping your cost throughout the year, but making a profit on top of that. We’ll say we’re looking at a farm in Iowa that produces 1000 acres of strictly corn. The fixed costs on this particular farm are $382.90 per acre, while the variable costs are $392.54 per acre. Therefore, the total cost of production is $775.44 per acre ($392.90 + $392.54). When you take that per acre cost of $775.44 and multiple it by the 1000 acres of production, you come to a total cost of production for the whole farm of $775,440 ($775.44 x 1000 acres). From there, we’ll say that the farm in this example produces an average yield of 220 bushels per acre, or 220,000 bushels in total (220 bushels per acre x 1000 acres). Since we want to determine the cost of production per bushel, we just take that $775,440/220,000 bushels, and come up with a cost of production of $3.52 per bushel. That is the golden number, $3.52 per bushel. This means that you have to sell each bushel for at $3.52 to recoup all the costs that went into producing it. Anything above that price and you’re making a profit. Anything below that price and you’re losing money. 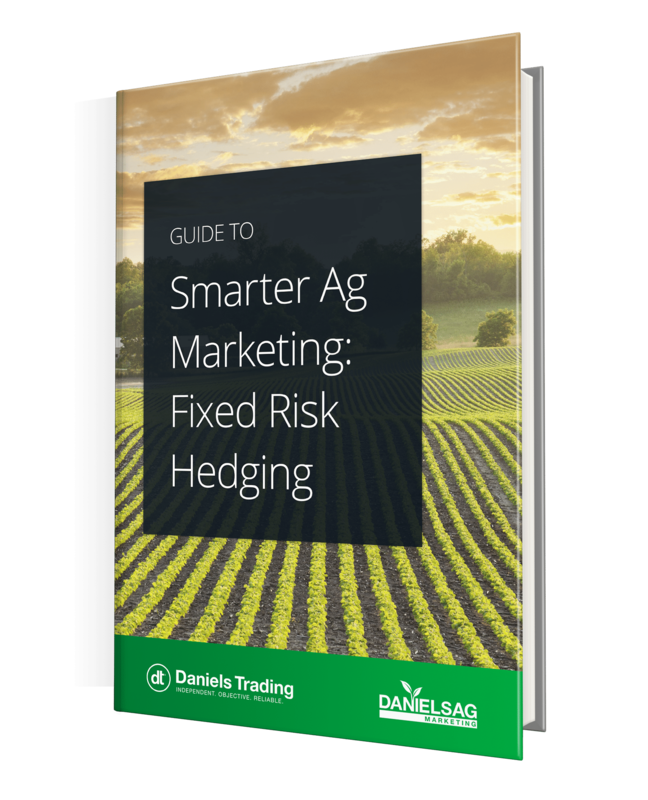 Making marketing decisions without using your cost of production is like shooting in the dark and hoping you hit the target.Knowing this number can help you determine when making a cash sale makes sense, and when it might make more sense to use futures or options to hedge. If it’s not clear to you on how this is done, click below to watch our Hedgucation 101 webinar to learn more. Why shoot in the dark when it’s so simple to light that target up for yourself?